You probably know that plywood is a wonderfully supportive material, but did you know that you can use plywood under wallpaper, put it to work in murals, and use it for making art? With the right preparation and perhaps a bit of glue, plywood boards are transformed into surfaces both useful and decorative. Setting mural on plywood wall, Mobile G.
After you’ve hung your plywood, it’s time to start decorating. Mix and match these tips to serve your needs and suit the type of wallpaper you are using. • Always begin the process by priming your plywood. If placing plywood under wallpaper, use a high-quality white pigmented acrylic primer. • For wallpaper, you’ll need to install liner paper, either with or without paste, before hanging the wallpaper itself. Follow the instructions that come with the liner paper, as different varieties come with different requirements. The type of glue required should be noted in the instructions. • For paintable beadboard wallpaper, follow the instructions that come with your wallpaper. At minimum, you will need to cut it to fit and wet it in some areas. After it dries, you can paint it to suit your taste. • Paintable beadboard wallpaper makes a fantastic backsplash and when installed over plywood, lets you update your kitchen, bath, and other areas in your home easily and inexpensively. If you’ve ever wanted to design a mural for a child’s room, create a backdrop for a play, or even make a large outdoor mural, you’ll find it is a rewarding process. Plywood lends itself to a number of creative pursuits! Here are just a few. If you like, you can put a large wallpaper mural on plywood. Not only does this simplify the installation process, but you can easily move or remove the mural when it’s time to redecorate. Note that it may be easiest to complete this process with a helper as mural sheets can be large and difficult to handle alone. 1. Prime the plywood using a high-quality acrylic primer in white. 2. Lay out the design as indicated in the accompanying instruction sheet. 3. Prepare the glue or paste according to the manufacturer’s instructions. 4. Apply the paste to the first panel of the mural and line it up carefully with the edge of the plywood. 5. Smooth the mural into place. Small bubbles will disappear after the mural dries. 6. 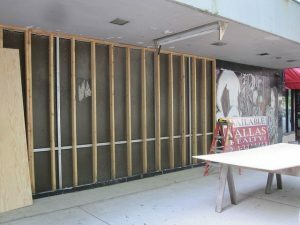 Continue applying the mural panels to the plywood. 7. 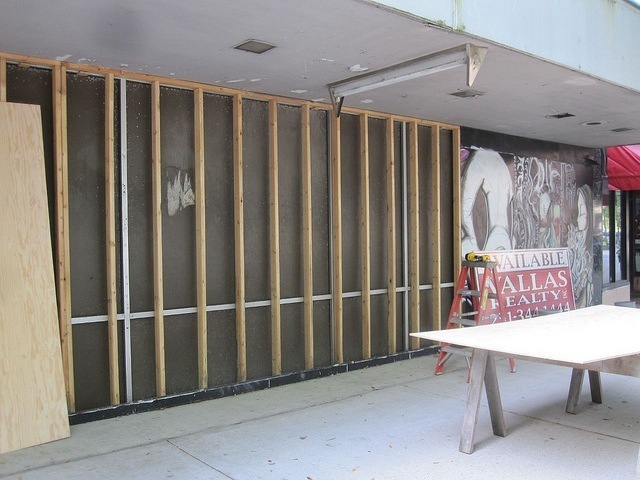 Hang the plywood and the mural on the wall once the mural has dried completely. Use several drywall screws to ensure that the installation is secure. 1. To begin, decide how large you’d like your mural to be. Most plywood is sold in 4-foot by 8-foot sheets. You can use just one, or make a massive work of art by combining several sheets of plywood. Use a jigsaw to cut shapes, if you like. 2. Next, apply primer to each sheet of plywood. If your installation is going to be displayed outdoors, prime all pieces of plywood, and when purchasing, consider exterior or marine grade plywood as it will stand up to the elements best. 3. Apply at least two coats of primer, remembering that thin coats are better than thick ones. Plywood can be thirsty, so don’t be surprised if the first coat is well-absorbed. 4. Next, freehand your design onto the plywood in pencil. If you have access to a projector, you may find it is easier to project images of your art onto the plywood panels and trace them on. Once you’re happy with the design, you can darken lines with a sharpie marker. 5. Paint your mural with the medium of your choice. Geometric patterns, free-form shapes, and even fine-art quality paintings can be rendered on plywood and used to create stunning focal points on the walls in your home. 1. Begin by choosing the best plywood for the job. 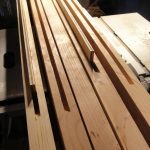 Lightweight birch plywood is inexpensive, smooth, and easy to work with. It’s also lightweight, making it easy to hang. 2. Sketch out a design on paper. Try to make the design about the same size as the one you are going to use on the plywood. 3. Hang the paper in the spot where you want to place the artwork. Be sure you like everything about it before working on your plywood. 4. Use primer, paint, and/or stain and other medium as needed. Have fun with wax, glue beads into the design, and incorporate other elements that will give the piece textural presence. 5. When the paint dries, hang your wall art, then show it off!